Cindy made this bag a few years ago, and loved how easily it went together. It even has interior pockets! You can make it with fat quarters or yardage, so find your favorite fabrics, and get ready to sew! This is a workshop, so you will need to bring your sewing machine to class. 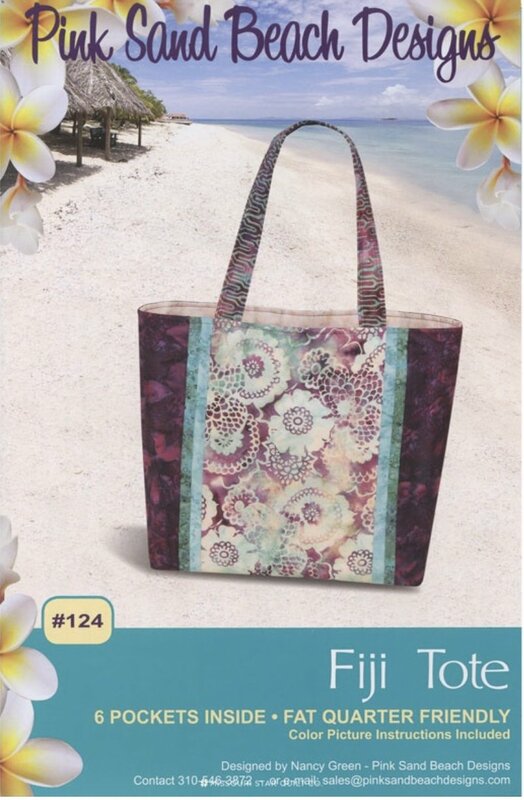 "Fiji Tote" pattern, and a working sewing machine with a walking foot.